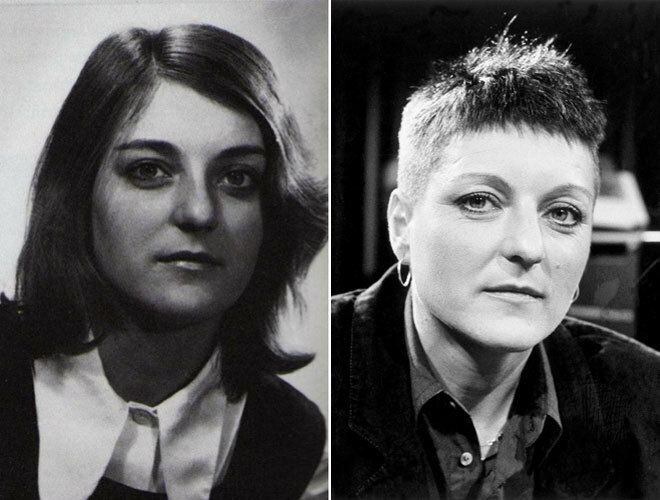 Herta Müller, in 1972 and in 1989. XXI century; Herta Müller returns to Romania with the prestige of having won the Nobel Prize for Literature, invited by a business school. Your hotel in Bucharest is the best in the city, but the manners of its staff are harsh . If a friend asks at the reception for her because they have stayed for dinner, the employee submits him to an interrogation and opens a file, as if it were from the Securitate. Afterwards, someone follows the couple of friends and Müller deduces that his phone is tapped. The writer complains and discovers that the hotel owner is a former agent of Ceausescu's secret police who had tormented her during her years in Timisoara. How had that man achieved impunity and success in the new world? Why did he spy on her and intimidate her? Because that was what he knew how to do, what amused him? Or because that is how power works in the countries that come from totalitarianism? The history of the hotel in Bucharest appears in Always the same snow and always the same uncle (edited by Siruela, in the bookstores next February 12), the book that is presented as the memoirs of Herta Müller. In fact, his material is already known to the readers of the Romanian author : anguished memories of loneliness and paranoia, rural scenes in which nature is brutal and threatening and, from time to time, some flash of love, some sweet nostalgia for some friends and for some songs. In the background, all of Herta Müller's books consist of that. The difference is that in Always the same snow and always the same uncle the information is more structured and is sharper than in the previous books by Müller, made with expressionist brushstrokes . Always the same snow ... tells the life of Müller, instead of aestheticizing it. Some milestones: the author of On the Lowlands was born in 1953 in a village in Romania where everyone spoke German. His mother did not even defend with the Romanian to understand with the Administration. Ten years before, his father had gone to fight for the Reich with enthusiasm, singing beautiful melodies and with the two SS runes on the lapel of his jacket . His uncle, who had been even more fanatical, had died in the war a few days after getting married. His grandfather was bedridden. And his community lived in disgrace. Thousands of German-speaking Romanians (also Müller's mother) had been sent to labor camps in the Soviet Union where they would atone for the collective guilt of having supported the Reich. The land that fed them was poor and the nature that surrounded them, violent and dark. Müller remembers that when a litter of rams was born on the farm, his father mutilated some of them because the State did not requisition the animals that had a broken leg . With those traps, the family could eat meat. Herta's father is the first key in his life. Josef Müller, a former tanker in the Panzer Division Frundsberg, was a loving and protective man with his only daughter, who broke something, some kind of scaffolding that kept him standing, the day that Herta started going to high school to Timisoara, 35 kilometers from his town. For some reason that Müller has not yet understood, that merry and cheerful man became an unfathomable alcoholic , full of guilt and sadness. Herta's love turned into hatred, but even in hatred, the daughter longed to love her father again. And so on until self-destruction. Timisoara is the next stage in Müller's life. There, the writer discovered the pleasure of friendship, perhaps the one she most joyfully describes in its pages, and the consolation of literature. But he also discovered how ruthless power was. The friends of Müller wanted to play, innocently, bohemian and rock . Not even that was allowed. The Securitate launched against them with fury and decided to destroy their lives. When Müller finished university, she worked as a translator in a factory. Turning the instructions of the turbines imported from Germany into Romanian with a moving delivery. However, the State lurked. His bosses asked him to report on his work colleagues ; the Securitate wanted him to keep an eye on his old class friends . She refused and the response of the power was cruel. Ceausescu's agents threatened her with death. And in the factory they spread the rumor that Müller was a mole. Afterwards, they expel her from her table. On a staircase, Müller tried to continue translating manuals; When he ran out of orders, he started writing memories because something would have to be done. In the end, all that came after was to try to understand those almost psychotic days. A friend appeared, Oskar Patius, a German-speaking Romanian, a veteran poet from Oudipo and a former prisoner of the Soviet labor camps . Patius became the great moral example in the life of Müller but, after the years, it was known that he had informed the Securitate, albeit with deliberate awkwardness. Also Cristina, Herta's best friend, confessed to her one day that she was passing information. By then, Müller had already left to live in Berlin, but Ceausescu's boys had not stopped harassing her. However, Müller's resentment against Romania has never stopped wanting to be love, just as it happened with his father. That tenderness is hidden in the pages of Always the same snow and always the same uncle, when Müller rejoices in the nuances and melodies of the Romanian language or in the music of Maria Tanase, a singer that her countrymen see as a mix from Édith Piaf and Maria Callas , all at the same time. In the end, music and language are the only shelters in which man can rest.